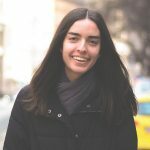 Amanda Balmaseda serves in Budapest, Hungary at the Calvary Chapel Bible College. She has a special ministry to students and is gifted with administration. 2 Cor 9:2 … For the administration of this service not only supplies the needs of the saints, but also is abounding through many thanksgivings to God.